11:40pm – Housemates who include Miracle, Teddy A, Bambam and Tobi are inside the closet room playing table tennis. 11:00pm – Rico Swavey is in the kitchen preparing the housemates’ dinner meal. 9:39pm – Big Brother is roasting the housemates inside the arena. 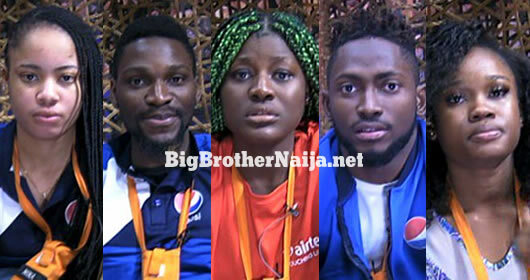 9:35pm – The housemates are all in the arena now waiting for Big Brother to address them on a few key aspects of the Game. 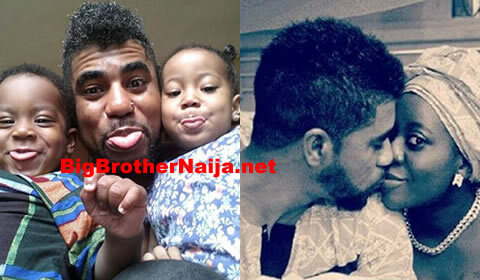 9:30pm – This week’s Big Brother Naija live show has now ended. 9:16pm – Khloe is revealed as the second ex-housemate to re-enter the Big Brother Naija house. 9:12pm – Waje is on the Big Brother Naija live stage performing her her hit song “I’m Available” featuring Yemi Aladee. 9:02pm – Anto is revealed as the first ex-housemate to re-enter the Big Brother Naija house. 8:45pm – Musician Zoro is on the Big Brother Naija live stage performing his songs Bianca and Ogene. 5:00pm – Diary sessions for the nominated housemates in this week’s fake eviction kick off. 3:16pm – The housemates are having their lunch meal. 1:40pm – Teddy A, Tobi and Rico Swavey are having a conversation inside the closet room. 10:40am – The housemates who are nominated for this week’s fake eviction are receiving hairdos from Ruutos. 9:45am – The housemates have began waking up. Good morning to you all and welcome to day 56 of Big Brother Nigeria 2018, follow today’s Live Feed Blog for all the latest updates.